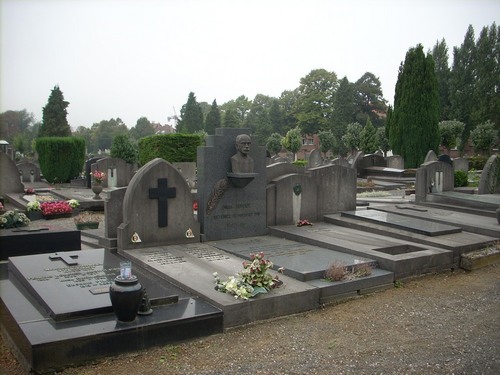 Jules Bordet is buried in this tomb of the Ixelles Cemetery in Brussels, with his wife Marthe Levoz and his daughter Marguerite. 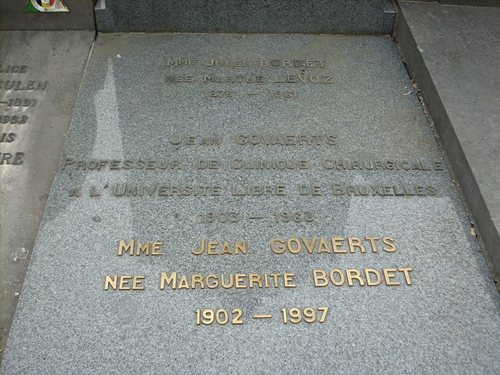 Under the bronze bust of the scientist there is the following French inscription: "JULES BORDET / PRIX NOBEL DE MEDECINE 1919 / 1870 - 1961". 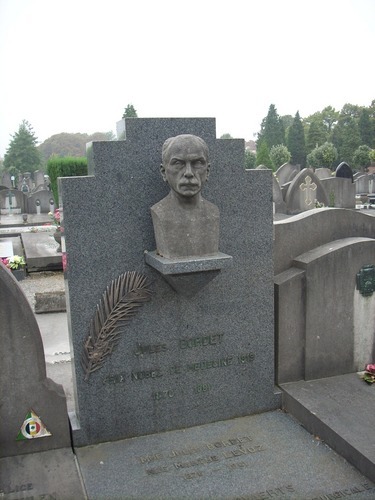 On the tomb there is also a palm with a medal remembering his "Grand Croix de la Légion d'Honneur".